In an age where there are more mobile phones than people worldwide, it’s not surprising to learn that as a communications channel, mobile is one of the most ubiquitous. It would be amiss to say that bulk SMS marketing is having its moment – it’s been a key part of many big businesses’ strategies for over a decade. It is, however, continuously gaining popularity as one of the most direct and effective communications channels available to marketers today. But, what exactly is bulk SMS marketing? And how are successful companies using it to improve their communication practices? Bulk SMS marketing is a form of mass communication that allows business owners to engage with their audience via mobile technology. Put simply, text messages are crafted and sent to a database of numbers containing marketing material, often with a special promotion or timely offer. 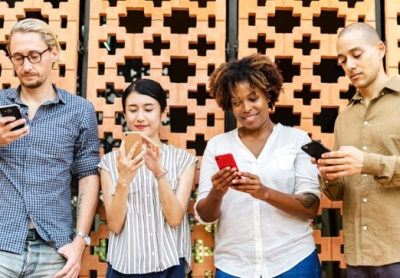 While mass SMS is regularly used by companies as part of their marketing strategy, it’s also commonplace for companies to utilise the service to communicate with their employees, shareholders and customers in a variety of ways. Whether SMS is used for alerts and reminders, confirmations, one-time passwords, two-factor authentication and much more, the simplicity and efficiency of bulk text messages are benefiting businesses and customers alike. What makes bulk SMS the perfect marketing communication tool? Businesses are finding the benefits of using bulk SMS to reach customers are endless. From a financial perspective, mass SMS is one of the cheapest ways to communicate with hundreds, thousands and even millions of customers, no matter where they are in the world. It can cut companies spend on marketing in half when considering the high cost of creating and distributing marketing content in other digital or print spaces. SMS is the most direct way to reach a customer, with over 5 billion subscribers in the world with phones enabled to receive SMS. By sending SMS online using an SMS software such as SMSGlobal’s MXT platform, businesses can reach a wide audience simply and effectively, regardless of where they are based. As new research claims that US consumers are spending more than a staggering five-hours a day on their mobile device, savvy marketers know that the best place to reach customers is on that very device. But with digital channels such as Google AdWords and social media becoming more and more saturated, the costs to advertise on these channels are increasingly out of reach for smaller and medium sized businesses. In addition, ad-blocking is becoming more common, with statistics estimating that over 300 million mobile users are implementing the removal technology on their device. The solution for marketers, therefore, is to target a channel entirely untouched by market saturation and blocking technologies. 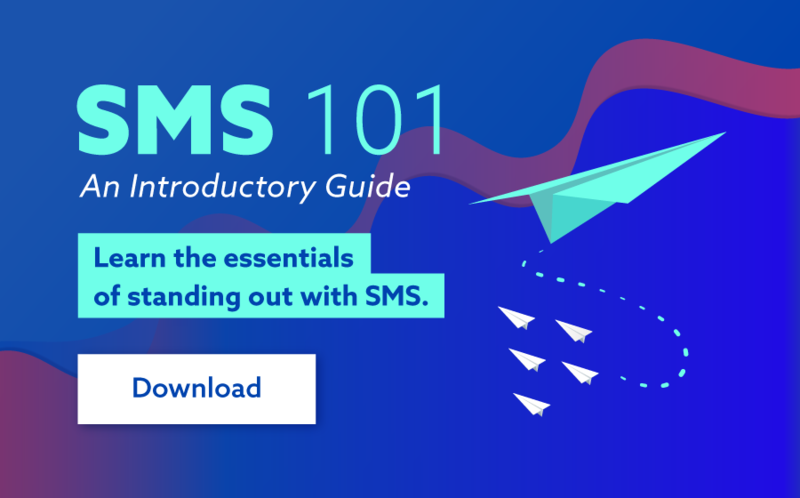 SMS remains the most trusted inbox by mobile users worldwide, with a staggering 98% of text messages being read, and 90% of those within the first 3 minutes of delivery. An offer can only be utilised if it’s seen, and marketers are opting to communicate their promotional messages via a platform that’s almost guaranteed to be opened. What are some common uses for bulk SMS marketing? Businesses are utilising the fast-paced nature of SMS to send out timely offers and promotions to customers. Those in the retail and hospitality industries are in particular making the most of SMS to entice a sale, using flash sales and 24-hour only offers to boost sales during a particular period. Nothing makes a customer feel more special than receiving an individual offer, and businesses are utilising SMS software features such as ‘merge send’ to distribute personalised offers. A simple “Hey Dave” at the start of a message shows customers that the business cares about them, improving the brand image and customer experience. While sending text messages containing marketing material are a sure-fire way to deliver promotional content quickly, MMS is increasingly being sent by businesses seeking the creative edge. MMS allows multi-media content such as images, videos and audio clips to be sent straight to a mobile device, improving engagement with the offer. For more information, check out these clever uses for MMS. Who uses bulk SMS marketing? The beauty of SMS marketing is that any business, no matter the size or budget, can use it. With options to send via an online SMS platform, through Email to SMS or using an integrated API, businesses can tailor sending to their marketing needs. From the banking and finance sector to retail and hospitality, education through to sports clubs and insurance, organisations across the board are finding bulk SMS a powerful tool to add to their marketing strategy, no matter the industry. Bulk SMS continues to grow as the key tool in many business marketing strategies. For more information about how you can improve your business communications with SMS, head to www.smsglobal.com or call 1300 883 400 to chat to an SMS specialist today.